Many birds in winter, especially shorebirds tend to lose their colorful plumage, a process known as molting, and look rather drab. It is this lack of distinguishing features that makes identification rather challenging when you spot a flock of winter shorebirds. I’ve tried to capture a few shots of shorebirds for this post. 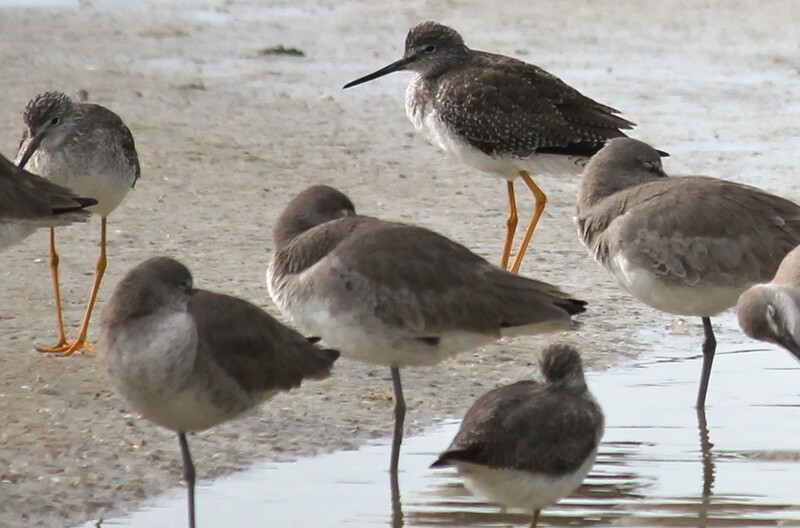 Amidst this flock of Willets, you can spot an odd bird that doesn’t belong to this group. A slightly pale orange body with a rather long beak that is also partially orange, the bird in the background is a Marbled Godwit. Very nice Happy new year!! Beautiful and calming too! Happy new year, Subra!